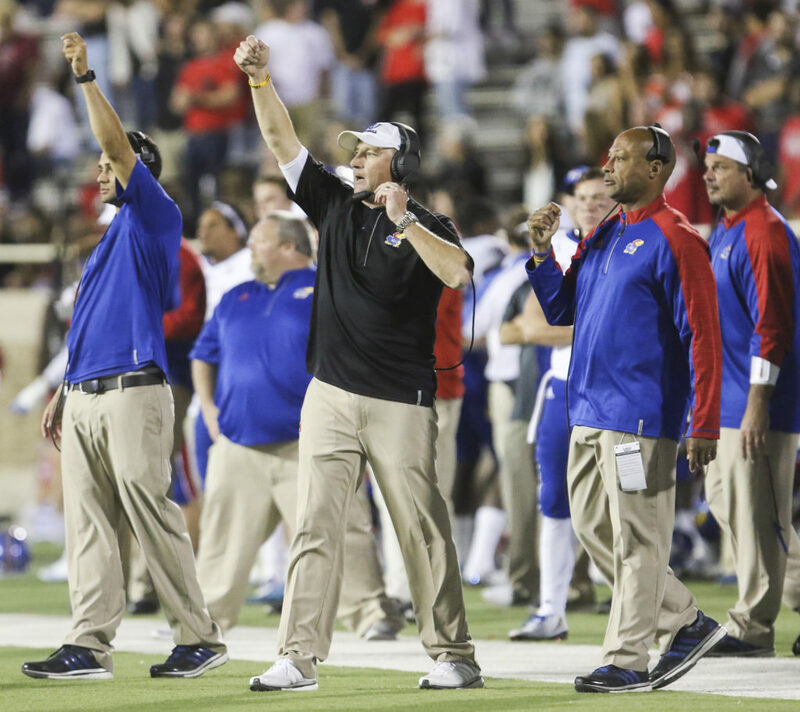 Kansas head coach David Beaty signals a play during the fourth quarter on Thursday, Sept. 29, 2016 at Jones AT&T Stadium in Lubbock, Texas. 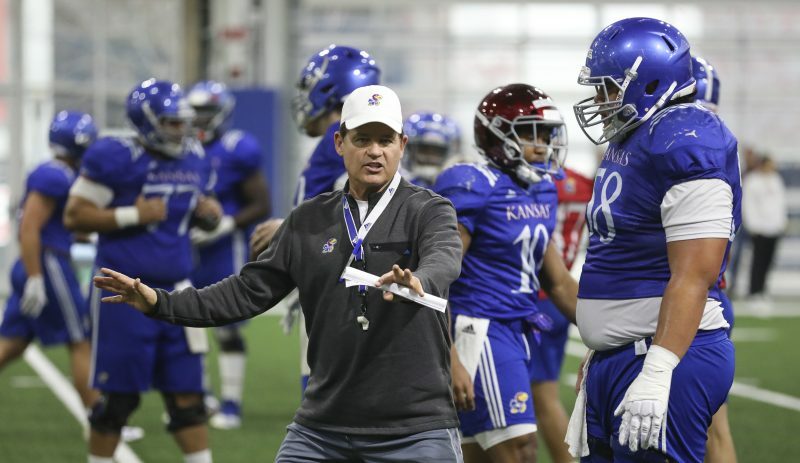 Not too long ago, Kansas football head coach David Beaty or one of his assistants could walk into a recruit’s home and face some difficult questions, with opposing staffs feeding high school or junior college talents with doubts about the future of KU football. 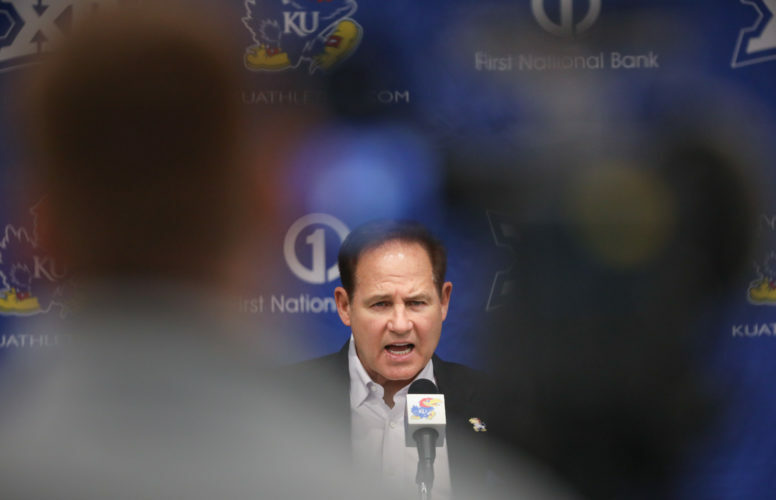 That all changed, Beaty said, when the athletic department showed its support for him and the program by extending his contract earlier this week. “It helped solidify a lot of these people that we signed today,” the second-year head coach said Wednesday during his press conference, which coincided with the beginning of the mid-year signing period and the additions of quarterback Peyton Bender, cornerback Hasan Defense, defensive tackle J.J. Holmes, wide receiver Kerr Johnson Jr., linebacker Kyron Johnson, defensive linemen Willie McCaleb and KeyShaun Simmons and corner Shakial Taylor. 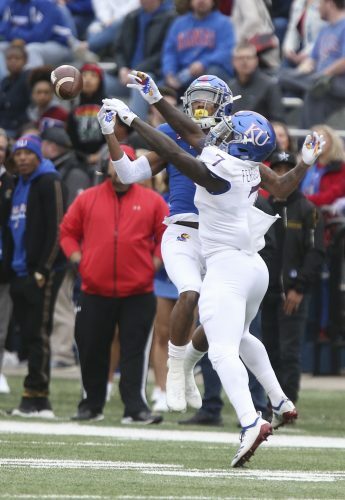 Kansas football coaches had the ammunition to counter any last-second indecision that might have emerged from its eight players who signed, by pointing to a new deal that could keep Beaty in charge through at least 2021. 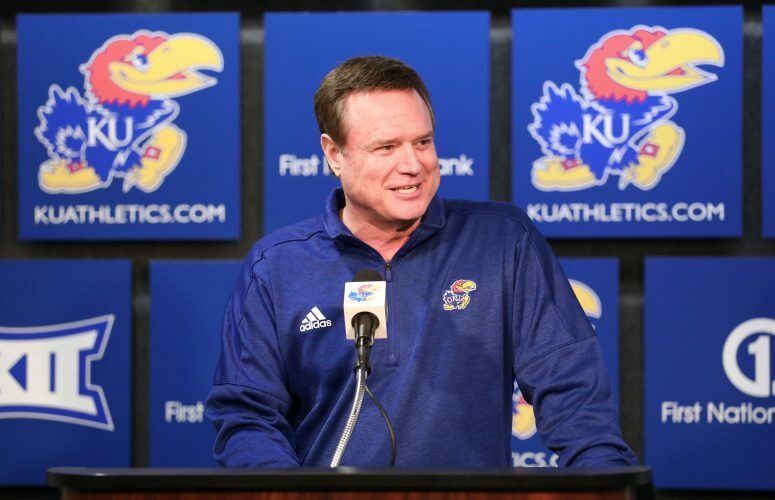 “Where we were at in our contract is very much a hindrance when you’re trying to recruit,” Beaty said of such discussions prior to signing his extension. 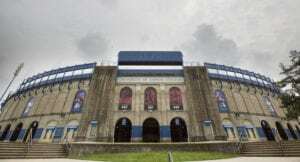 KU’s head coach said athletic director Sheahon Zenger, deputy athletic director Sean Lester and their staff have provided the football team with “anything and everything” to put Beaty and his assistants in position to succeed. Earlier this week, USA Today writer Dan Wolken tweeted new Texas head coach Tom Herman had “preliminary interest” in Beaty as an offensive coordinator. Beaty was asked if his contract extension had anything to do with other programs seeking him out. While Beaty plans on keeping his office at Anderson Family Football Complex for the foreseeable future, the same can never be assumed of assistant coaches in college football. Though Beaty said none of his staffers had accepted new gigs elsewhere as of Wednesday afternoon, the head coach described this time of year as “job season” for assistants around the nation. KU’s head coach said he would like to keep his entire staff in place, but added if assistants aren’t fielding job inquiries “you’ve got the wrong guys.” From a market standpoint, Beaty claimed KU has put its assistants in good position and described them as “appreciative” of their contracts.